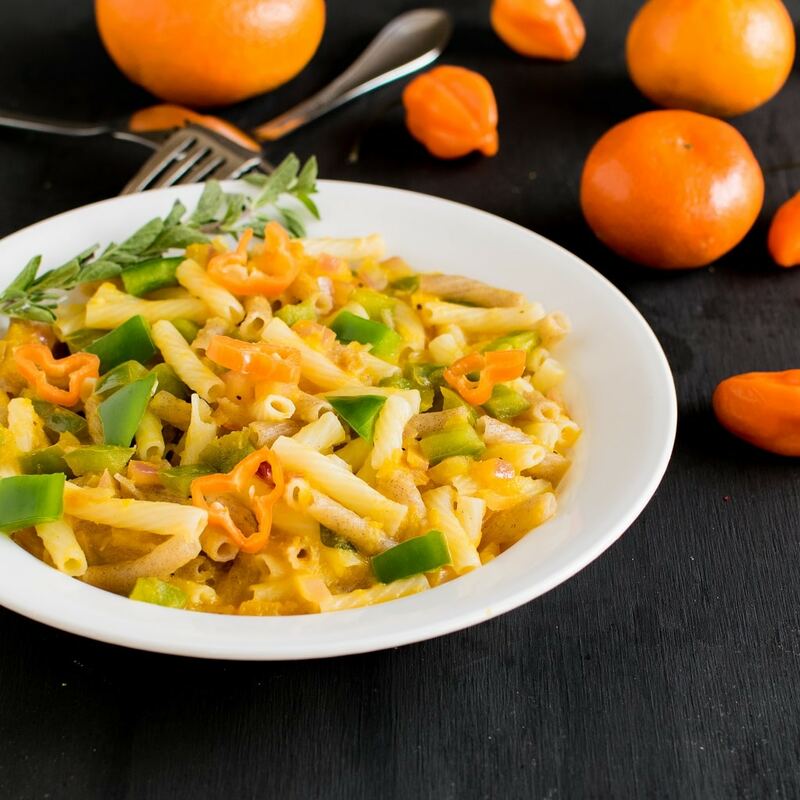 Orange Habanero Pasta is light, healthy and flavorful with a mild tang. Its vibrant color will definitely make you fall in love with it immediately. If you remember my struggle and experience of working with habanero pepper in my previous posts, I finally conquered. I am now a pro habanero peppers. HAHAHAH! 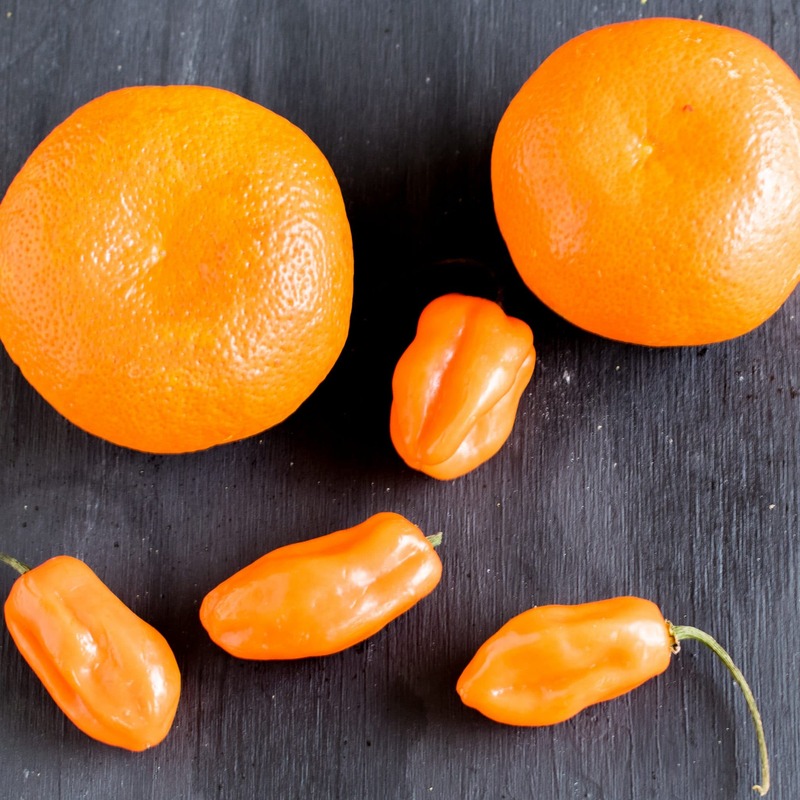 It is nearly impossible for me to get over its vibrant color and when I blended these beautiful peppers with fresh oranges the color just took me by surprise. With mild seasoning orange habanero sauce was outstanding and lip-smacking. Of course, I never stopped licking the sauce until I tossed it with pasta. I have to mention this that I made two batches of orange habanero sauce. I finished it up all even before I could click images. 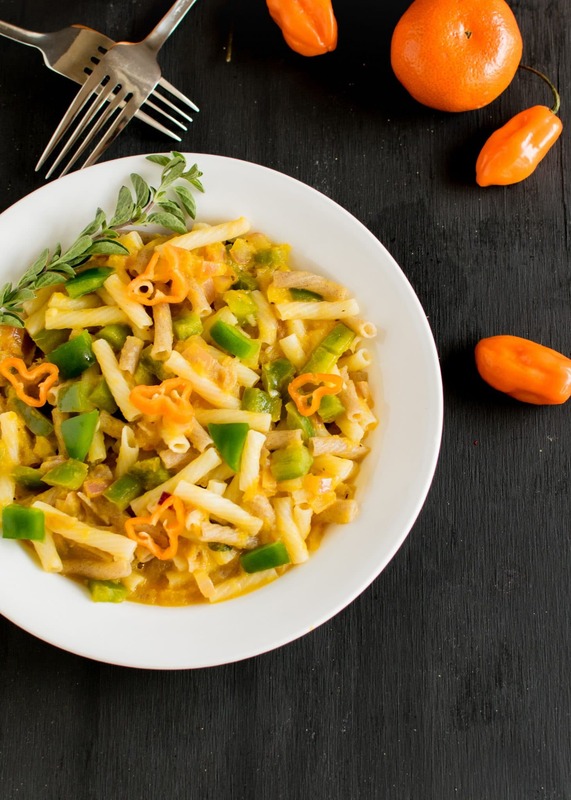 This Orange Habanero Pasta is full of Vitamin C which will help in your immunity through the spring season which is approaching soon. 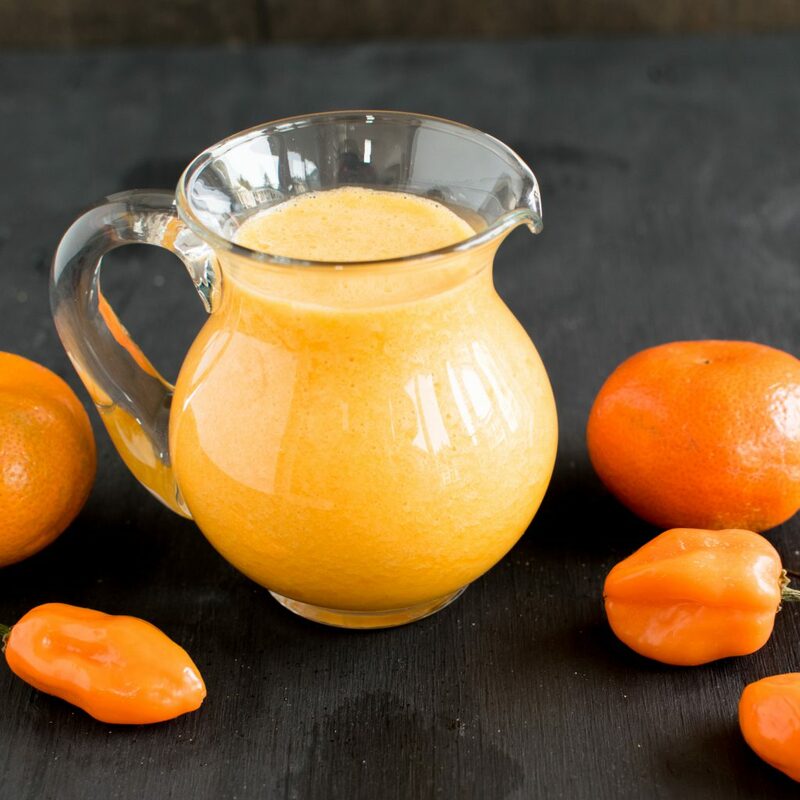 Orange habanero sauce is versatile enough to be used in salads or spiralized pasta. For this recipe, I used quinoa pasta and the combination was excellent. Orange Habanero Pasta is a simple yet filling meal that’s super easy to cook even on busy weeknights. Make your dinners easy by blending the sauce ahead of time and refrigerate. This pasta recipe is elegant and the prettiest dinner. It serves well for special occasions and makes your week night meals look exceptional in just 20 minutes. In a blender combine the ingredients of the sauce and blend extremely smooth. (Strain if desired). Heat olive oil in nonstick pan and add oregano. Immediately add onions and sauté for couple of minutes or until the onions are translucent. Add green bell pepper and sautee for a minute. Pour the orange habanero sauce and water. Stir nicely. Immediately add salt, sugar and crushed black pepper. Stir and let it cook uncovered for few seconds. At the first boil, fold in pasta and toss very well. Cook again for a minutes. Turn off the flame and serve immediately. Habanero pepper is extremely hot so even if cooking for more people make sure to use the pepper sparingly. Start with 1 pepper and increase as per requirement. If you don’t eat spicy food then deseed the pepper and start with half of habanero pepper. I used quinoa pasta but feel free to use any pasta of your choice. Macaroni pasta also tastes good in this recipe. Dried oregano can also use to substitute fresh oregano. These look seriously delicious!! I can’t wait to give this recipe a try!! What a great recipe! Definitely going to have to try this–thanks!